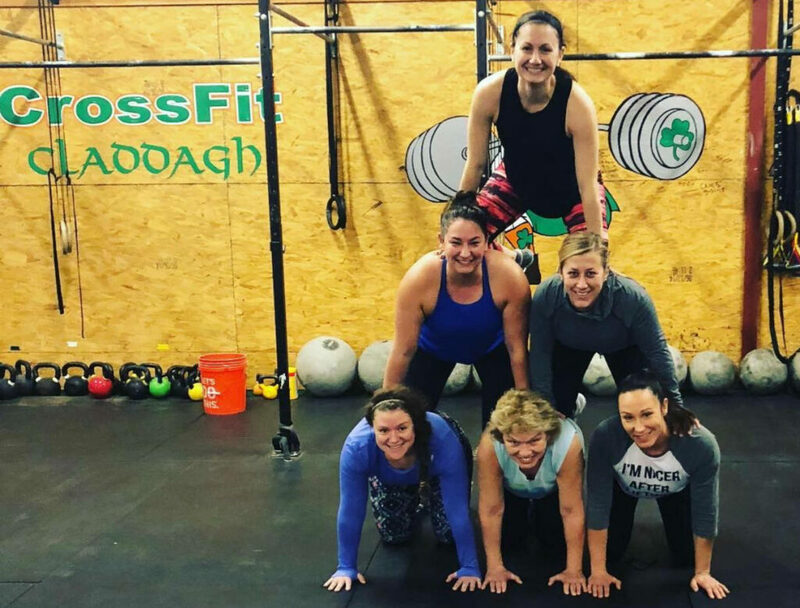 Why do I go to Crossfit Claddagh? Three years ago I decided I wanted to be better. I wanted to be in the best shape I could be in both mentally and physically. Three years ago I walked into Crossfit Claddagh to see if this would be the right fit for me to reach these goals. I saw Laura at the front desk, and she saw me. I can’t just turn around and leave now, because someone saw me. ? I walked over to Laura and she answered all my questions and I got all the information I needed. I decided I would just try a class. That was one of the best decisions I’ve ever made in my life. 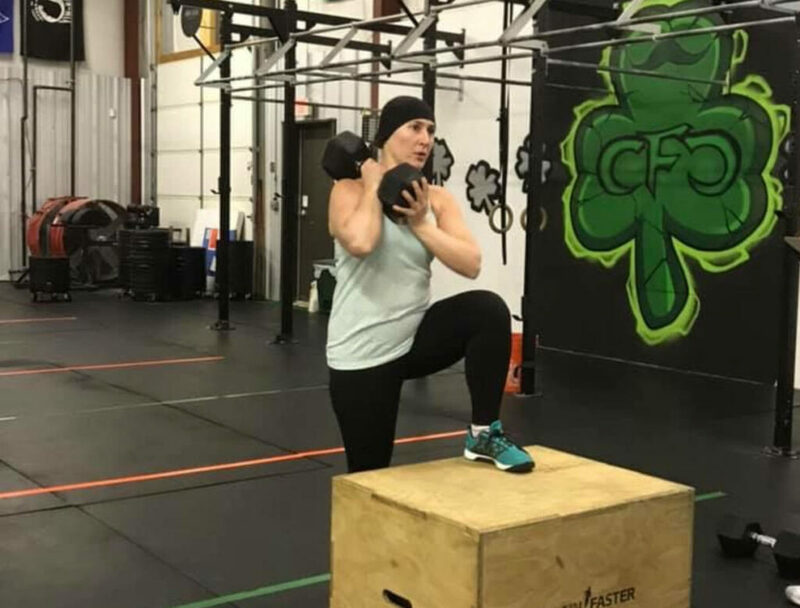 Being a member at Crossfit Claddagh is more than just having a gym membership. It’s being a part of a family that encourages each other to do great things in that box. There is no way I would be where I am today without the help of the coaches at Crossfit Claddagh and the positive community that grows there. miles and I got my first pull up this year. These are two accomplishments that weren’t even an original goal of mine because I just didn’t feel it was possible for me before I joined Claddagh. We are so lucky to have such educated and dedicated coaches to help us learn the movements in a safe and structured way. I feel so thankful to be a member of the Claddagh Clan. I feel I’ve grown so much as an athlete and an individual. The past three years has been such a positive journey and learning experience. I look forward to continuing this journey with Crossfit Claddagh. My first year of living in Massachusetts I was a brand new teacher, just married and had zero friends. I woke up super early, went to school, planned the lesson for that day, taught, stayed and continued planning after school, drove home, sat on my couch and planned more lessons. I was tired and happy mentally but I was doing nothing for my body. When I came back there was no judgment, just “Hey I’ve seen you before! Glad to see you again.” I can’t tell you how much that encouraged me to stick with it. No judgment just happy you are here. Laura and Bryan and Malcolm, thank you for opening up your lives to us, to me. It must be so emotionally draining to become close with us all because we are not just clients to you, we are family. Thank you. Bryan, I still remember you asking me how Eric did on his SUPER RIDICULOUSLY IMPORTANT VETERINARIAN test. I don’t think you understand how much that meant to me. My friends are at the gym and that moment in my life was so stressful. There was this instant sense of calm that washed over me knowing that someone else cared about how he did as much as me. Thank you.
! These past few months have challenged me in ways I didn’t expect but having you and my friends at the gym has helped me find myself and continue to work towards the things I want. Thank you. This became more of a thank you then a testimonial but I think you guys deserve to hear these things and I want you all to know you are loved and appreciated. it has to happen, so here we go (you’ve been warned!)…. 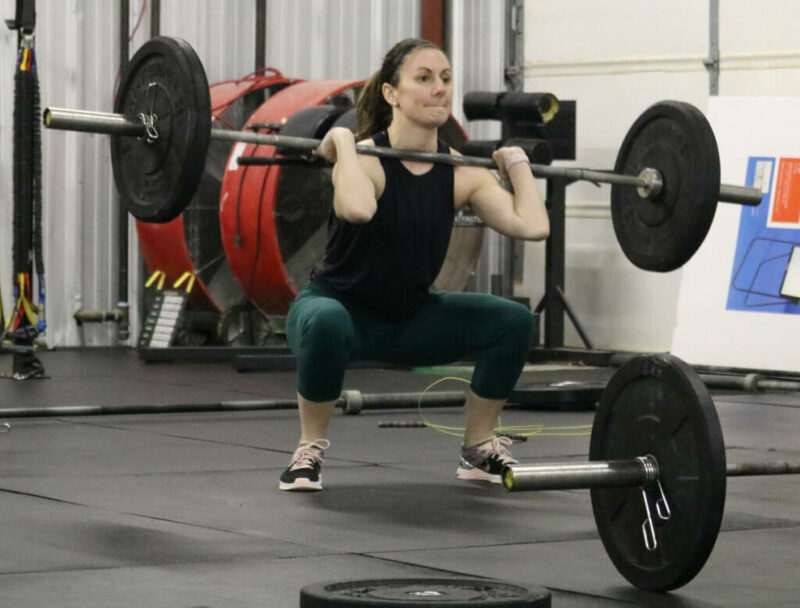 So why do I love CrossFit? Between teaching and being a parent, I spend so much of my day constantly thinking about other people and planning things…. I love that with CrossFit, I just get to show up and have someone tell me what to do for an hour – no thinking or planning required. I love that I know that I’m stronger (both physically and mentally) because of it and how much my body has changed since starting. That functional fitness is actually a thing, and I can help move heavy furniture or do other random things now, without even thinking twice about it. I love that every workout brings something different and that I never know just what to expect. Even on the days when it’s a movement that I may reallllllllly not like, I love that I know it’s making me stronger, and that tomorrow will probably bring a different movement that I like a little more. I love that on one hand, I can see progress as I slowly chip away at certain movements or weights, but that on the other hand, there is always so much more to work on. I love the high of an awesome workout and feeling like a badass when you finally get something, PR, or do some crazy strongman movement. I even kind of love the frustration of not being able to get something, because it makes me want to work to get it just that much more the next time. The reason I come to CFC is because I truly love everything about it and you guys. I love that you guys actually coach (having dropped in at other places on vacation, I’ve learned that it doesn’t happen everywhere) – that I always feel like I know what I’m doing and that if I don’t, you guys don’t make me feel dumb for asking questions. That you’re actually watching what we do, and will come over and correct us or give us tips/help mid-workout if you notice something. That you guys are so motivating and so supportive. That you both will push me sometimes when I doubt myself, and that my confidence has grown because of it, and that I’m starting to push myself a little more too here and there. I love that you’ve created such an awesome atmosphere at the gym. I love that while I’m impressed by what different people can do at the gym, I don’t feel intimidated by anyone or have to worry about what anyone is thinking or what I look like when I’m there…. that you guys have just attracted good people because you are both good people. I love (and will not every be able to truly tell you how grateful I am!!!) that you let my girls come with me to the gym all the time. I would never be able to get to work out as often as I do if it weren’t for that. And just as much, I love that you guys allow (and encourage) Mads to work out too…. she is so proud of the things that she can do, and her confidence has grown so much because of it, and it has been so freaking awesome to watch. (And for what it’s worth, even Lil asked this morning why they didn’t go to CrossFit Kids yesterday, so maybe there’s still hope for her lol) I love that my girls are growing up thinking that women can lift heavy and do crazy stuff just like men can – that they don’t know any differently because this is just the norm for them.